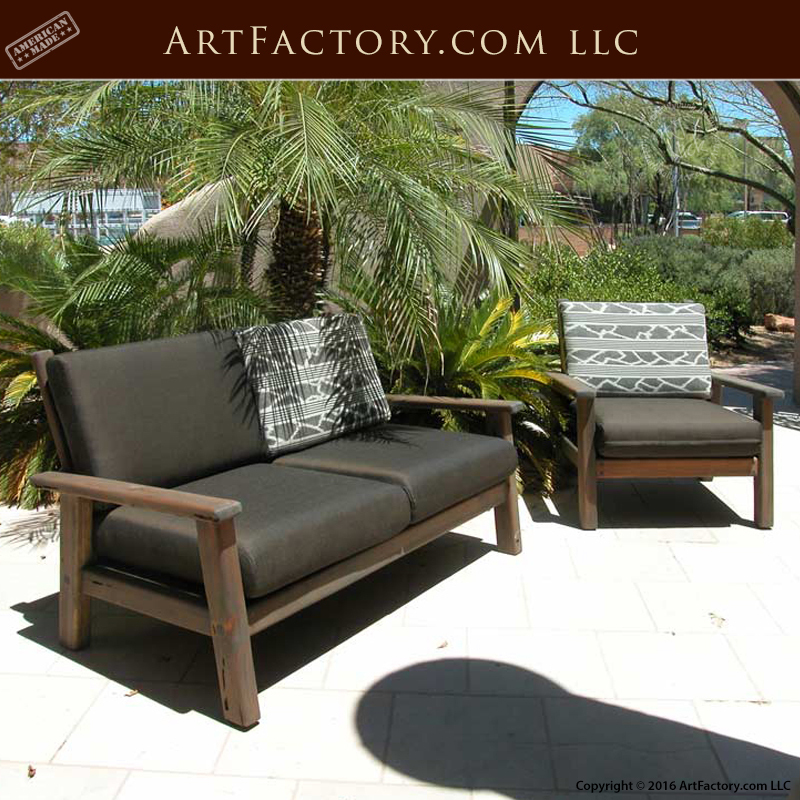 At ArtFactory.com we build handcrafted furniture is made from the highest quality materials available. This means materials like full length, naturally air dried, timber, and and the finest quality, full grain, American leather. All of our custom furnishings are handmade by master craftsmen and built to stand the test of time. This means tried and tested old world techniques like mortise and tenon joinery that make for a product that will stand the test of time. 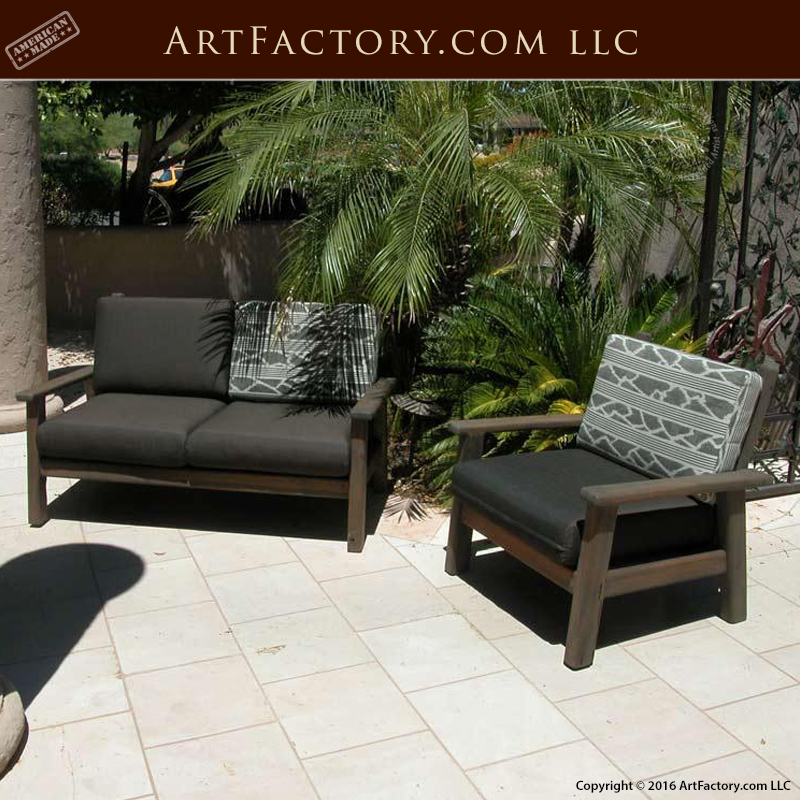 We make custom wood patio furniture, and all of our products with an attention to detail that is unmatched. That is why we take the time to add the little extras such as mar proof feet, because we are firm believers that that little extra is the difference between ordinary and extraordinary. To top it all off, all of our custom doors and home furnishings are built under the supervision, and certified by award winning artist H.J. Nick. A product never leaves our shop without first being inspected by, and signed H.J. Nick. This signature ensures that your product has been found to meet all world class, fine art standards. If you are looking for the finest custom wood patio furniture and home furnishings available anywhere, at any price, then you have come to the right place. Our products are have been made in the USA, and built with the same craft and materials since 1913! We have not changed our process for over a century, because we believe in building things the way they used to be made, when they were built to last forever. We never build fast process, or disposable products like the ones you will find at most big box retailers. At ArtFactory.com you will never get anything less than a handmade, fine art quality product, built from top quality materials to stand the test of time. That means family heirloom, investment quality items with appreciable value in antiquity. Never settle for the rest, when you can have the best. Call us for a custom quote today and speak with one of our architects at 1-800-292-0008. We work with dealers, builders, interior designers, and home owners to create custom made furniture for your residential or commercial property. Our custom furniture is available in any size, style, and finish by our American craftsmen, hand made using old world techniques to create a luxury fine art furnishing for your project. All hand crafted, solid wood furniture pieces are built using full length, solid wood. Further customize your solid wood furniture with hand carved designs, custom hardware, glass or granite, hand forged wrought iron - the choices are endless when you order your custom hand built furniture from ArtFactory.com. Call us to discuss your project and custom furniture designs at 1-800-292-0008.